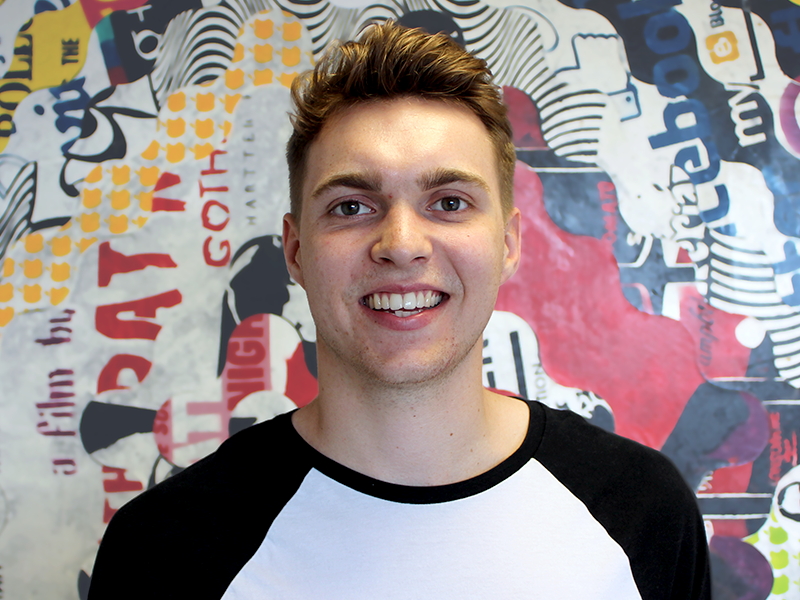 Born out of the vibrant streets of Bristol, Coull has always had creativity at the heart of the business. Coull’s founders had a vision of making online video advertising an engaging and interactive experience. The idea was brewing away in the background since 2005, but the online video world was still growing and adapting. High-speed internet hadn’t appeared and many different video formats made things more complicated. Skip forward a few years to 2007, YouTube had grown to over 50 million users and high-speed internet had arrived. Families were able to watch a cat play the piano, a dog surfing and someone biting Charlie’s finger, from the comfort of their own homes. It was revolutionary and people couldn’t get enough. The popularity of video content shot up and the creators wanted a way to profit from it. Cue Coull. 2008 was our founding year and although we’ve come a long way since then, it was always about our love affair with video. Programmatic arrived like a whirlwind in 2013. By connecting everyone and allowing quicker, more efficient sales, it sounded like a dream. 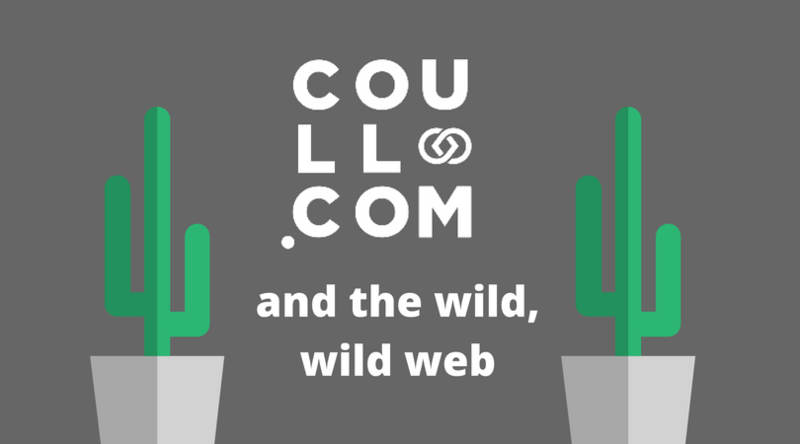 Caught up in the vortex of the programmatic online world, Coull started out with an ad network model. We were integrating with leading programmatic platforms to enable delivery of interest-based, targeted advertising at a global scale. All of the innovations emerging from the humble office in Bristol were exciting, but there was one big problem with the online ad industry: fraud. 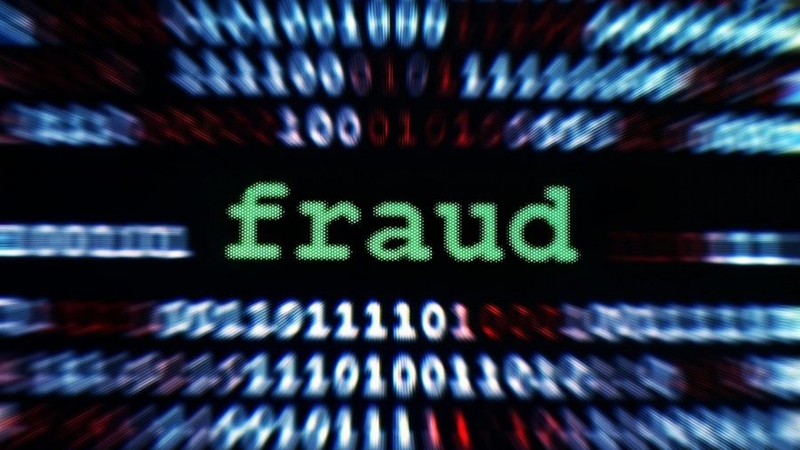 The regulation of crime, particularly ad fraud, couldn’t keep up with the digital world. But Coull was prepared. We were producing our own in-house anti-fraud technology in the background for some time. Such as domain and IP filters, URL detection and implementing the IAB’s VPAID specification. As anticipated, the talk about fraud in the media increased and some shocking figures flagged up. Behind the scenes, fraudsters had been on a crime shopping spree and cost the industry billions each year. We quickly realised that, although ad networks were great for connecting us, the business model was a doomed one. It was undifferentiated and arbitraged inventory, combined with a justifiable loss of trust from buyers resulting in an inevitable race to the bottom. More importantly, it didn’t represent our original vision to be unique and think outside the box. First and foremost, at Coull, we pride ourselves on being a technology company. 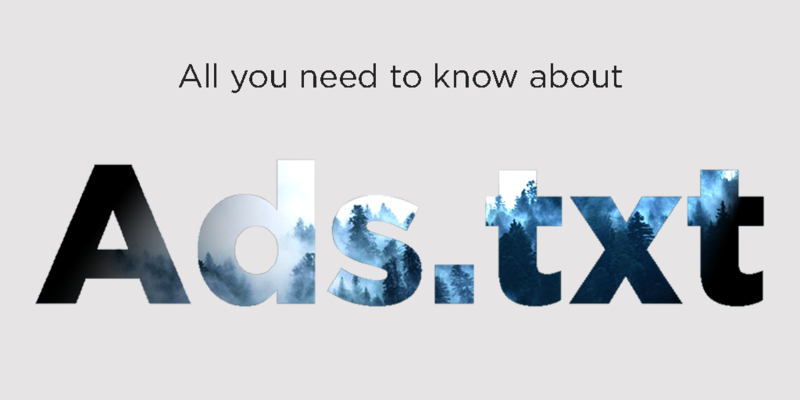 We have a dedicated team, many of whom are developers, and a fresh minded approach. This has lead to building and launching the Coull Platform. Our Platform consists of the Coull SSP, Coull Exchange and distinct Coull advertising formats, which are all self-built to fit Coull’s vision. With us, publishers can earn revenue without spamming their content, advertisers can benefit from effective formats and users don’t get overloaded by ads. Not only this, we have a very comprehensive compliance process paired with a strong company ethos in combatting fraud. We’ve invested in and improved our proprietary technology to ensure anti-fraud and brand safety. Applying our technology, we have a dedicated compliance team and partnerships with industry-leading verification vendors. Using their audit results, our true URL detection product and IP filters, we can effectively fight domain spoofing, bot fraud and build trust among our partners. But we aren’t stopping there. Viewability is of paramount importance. We currently measure viewability through our partners, but we have additional plans to improve our business. Using our technology expertise, in combination with our measurement partners, we expect to build our own viewable inventory marketplaces. Unfortunately, the internet won’t ever be fraud-free. Even recently, the World Federation of Advertisers (WFA) estimate that ad fraud is likely to exceed $50 billion by 2025. Much like a game of whack-a-mole, as soon as one source of fraud is stamped out, another three pop up. But by having our own technology and platform, regulation is a lot simpler for us and being transparent with partners is easier. 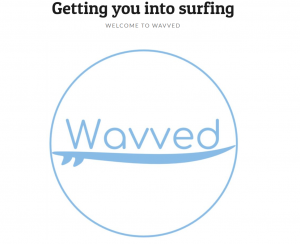 After nine years of a bumpy rollercoaster ride in the online advertising industry, we’re now proud to say we’ve come a long way, keeping our founder’s vision alive and continuing to aspire. We have a strong ethos on ad fraud and are always trying to be transparent, educate and work with partners to tackle ad fraud together. Find out more about fighting ad fraud by reading our last blog post: “Combatting ad fraud on the wild, wild, web“. Films are made about drug cartels and stories are told of famous bank heists. But why aren’t we talking about one of the biggest organised crimes in the world: online ad fraud? It’s not as dramatic as other crime stories, but the elusiveness of digital fraud is one of the many reasons it’s not stopping. And we think it’s worth talking about. 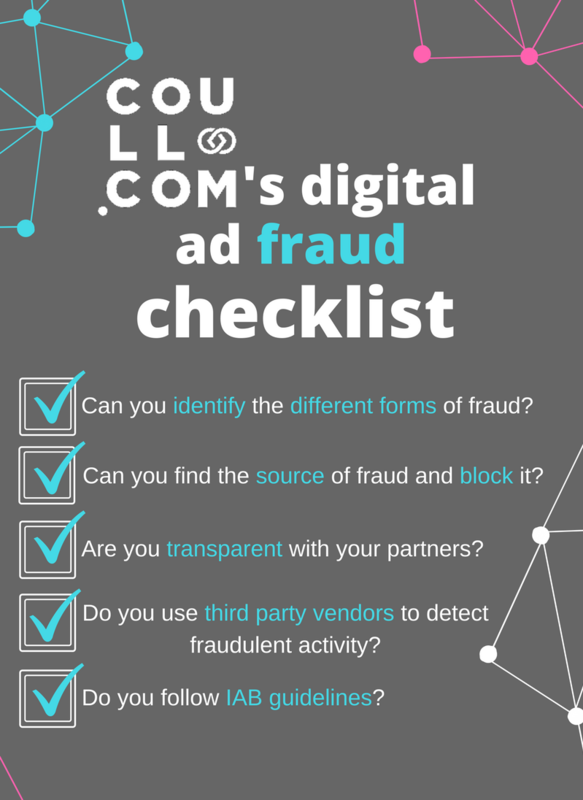 By 2025, the World Federation of Advertisers (WFA) estimate that ad fraud is likely to exceed $50 billion, making it second only to the drugs trade in terms of income. The web is turning into the wild west; every advertiser, publisher and adtech company for themselves. Ad fraud is relentless and jeopardising free online content. But not to worry, there’s a new sheriff in town. 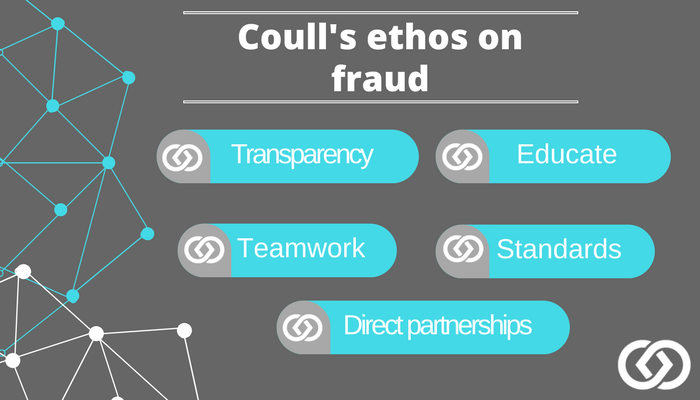 Coull has come a long way since our humble beginnings, we quickly realised how huge ad fraud was and we had to change this. Since then, we have been trying to tackle fraud in the wild wild web. First of all, what should we all be looking for? Automated traffic: Otherwise known as non-human traffic (NHT), it is the most common form of ad fraud. These bots can come from software applications which run automated tasks over the internet to simulate human activity. Invalid traffic: Traffic running through a domain being undesirable, this does not mean the domain itself is bad and therefore would not require blocking. However, the source of the traffic needs to be found and removed. Ghost sites: Ghost sites are made to resemble real websites, but have no value and instead host a multitude of advertisements. Proxy traffic: A proxy allows anonymous access to the internet and can browse the internet without leaving a footprint. This means all ad requests will go through a proxy, so for those monitoring the requests, the only thing visible is the proxy – there’s no way to know who’s behind it. Spoofing: A malicious party impersonates another device (or user) on a network in order to show ad requests from more reputable sources. Ad injection: The ad is loaded by ad injection software, often bundled with other software like games and toolbars. This artificially inflates the number of ads on a page and can lead to a negative user experience. With a free and open internet dependant on ad revenues, it’s important that the entire chain works together to ultimately strike out the risk of ad fraud. Being able to be completely open and honest with everyone in the industry means that, things like invalid traffic and ghost sites are easier to detect. Without transparency, it’s like finding a needle in a haystack…in the dark. Coull strives to be a transparent and trusted company to work with. Which is why we’ve put a huge amount of time, effort and investment into eradicating invalid traffic from our platform. We don’t have to tackle this crime alone, using the best third-party vendors to verify traffic is much more effective. At Coull, we work with MRC accredited third-party verification tools to track all inventory and act accordingly. Also, we have our very own fraud detecting hero, Nicola, Coull’s compliance manager. Every day, Nicola manually scans traffic and domains to cut out the pesky bots and *inappropriate* websites. This enables us to have a multi-level process targeting ad fraud and eliminating it from our platform. We have introduced our Traffic Quality Assurance program. This helps publisher partners reach the required quality and to help our advertisers buy media with confidence. Much like the wild west, online advertising doesn’t have many set rules, turning the internet into a western shootout – fraudulent traffic coming from every direction. One way to stop fraud is by measuring genuine ad impressions and true viewability. Although industry bodies like the International Advertising Bureau (IAB) and the Trustworthy Accountability Group (TAG) are setting guidelines, not everyone follows them. There are a huge number of ad tech vendors running their own measurement of these standards. This means each vendor’s results will be different, affecting expected CPMs, creating a lack of expected inventory and mistrust. Coull has been working on pre-bid viewability technology. We can detect where the ad unit is on the page before it’s served. This enables advertisers to decide what inventory to purchase based on whether their ad would likely be in view. The biggest advantage is that this minimizes wasted ad spend, giving demand partners real-time data to help them make the best buying decision. Coull’s queen of compliance, Nicola says, “Educating people about the different types of fraud is one of the most important things at the moment. Unfortunately, law enforcement is still behind on tackling ad fraud, so we need to learn how to defend ourselves.” So that means, helping publishers recognise any fraudulent traffic and the different forms it comes in. Also, helping buyers achieve an efficient and valuable return on campaigns by evading traps and not buying blind. With the hundreds of partners, networks and exchanges out there it makes it easier for fraud to creep in. Whereas, having direct partnerships can eliminate the risk. According to Integral Ad Science, nearly 9% of digital ads delivered via programmatic channels are fraudulent, compared with only 2% of ads delivered through direct deals with publishers. Coull cut out the middlemen by hosting our own exchange, connecting demand partners directly to publishers’ ad servers. And our formats, OverStream and DoubleUp are direct publisher integrations, for a simpler environment. Many companies are working on anti-fraud techniques, particularly the buy side. However, this year will hopefully see more supply side and exchange take the lead. Publishers: Fraudulent activity can compromise your business model and can damage the brand’s reputation. You need to be able to identify the different forms of invalid traffic and be transparent about inventory. 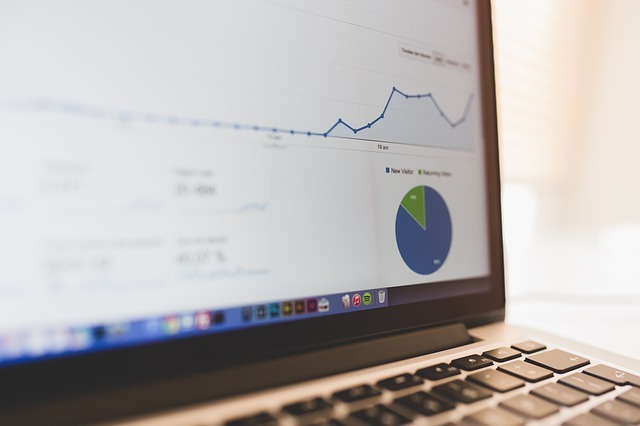 Advertisers: Fake views on your online campaign is wasting money and creates inaccurate data about the ad’s performance. Make sure you know exactly what inventory you’re buying to protect brand image and have a more valuable return on campaigns. Ad tech suppliers: If fraud is being hosted by your technology, you’ll be liable for refunds to your advertisers and their agencies – and may even be removed from media plans. Work on keeping up standards and abiding by guidelines. Also, direct relationships with partners result in more trust and transparency. It’s all about teamwork and education to banish the fraud cowboys from the wild wild web, for good.